You can have a great day of fishing at Lake Livingston. It is often referred to as the Catfish Capitol. Besides catfish you can catch crappie, large mouth bass, and white bass. Fishing is great from the shore as well as in a boat, so anyone with a fishing pool can join in on the fun. 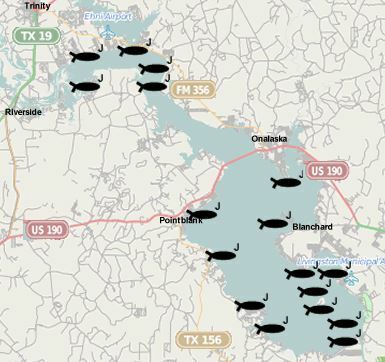 If you plan on fishing Lake Livingston, see our map for some great fishing spots.